Then Simon Peter, who was behind him, arrived and went into the tomb. 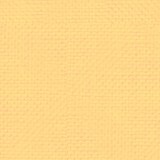 He saw the strips of linen lying there, as well as the burial cloth that had been around Jesus head. The cloth was folded up by itself, separate from the linen. 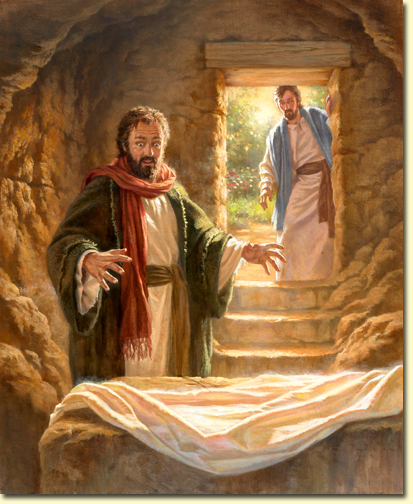 And so Simon Peter also came, following him, and entered the tomb; and he saw the linen wrappings lying there, and the face-cloth which had been on His head, not lying with the linen wrappings, but rolled up in a place by itself. What made John believe? He saw and believed. If he had seen only bloodstained burial cloths, he could probably have thought that the Lord's body had been stolen. But he saw his Rabbi's face. And it must have been the face-cloth which had been on His head, not lying with the linen wrappings (the shroud, the sweat cloth or the headbands) but rolled up in a place by itself. The aforementioned translations come from the Douay-Rheims Bible, the New International Version and the New American Standard Bible. Antonio Persili suggests an alternative translation in his treatise "Le tracce della Risurrezione in Giovanni" ("The traces of the Resurrection according to John"). The burial cloths, or othonia in Greek, were lying in keimena position which stands for outspread, intact, not unbound, undamaged, empty inside. However, the sweat cloths (the Sudarium of Oviedo, the Holy Cap) were not spread on the grave stone but were lying in another position as if His head had still been inside. Sister Blandina Paschalis Schlömer believes that this was caused by blood, sweat and plasma coagulation as well as aromatic oils and myrrh fixation in the sudaria fabric. This created a crust which held the shroud fabric where His head had been before. 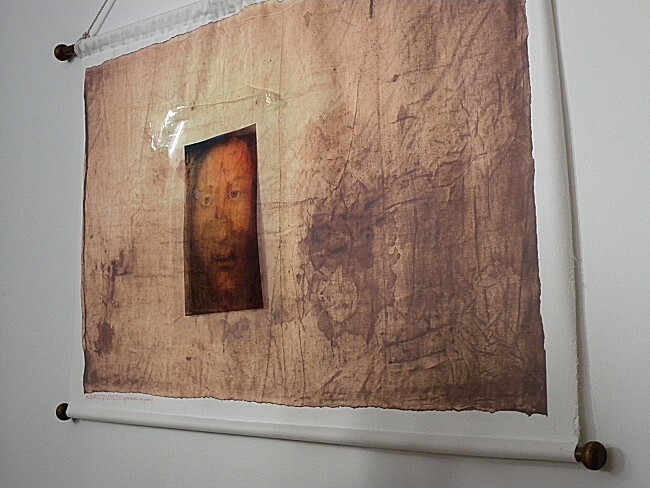 On top there was the Veil of Manoppello with the image of Resurrected Christ visible against the white cloth. Therefore Peter and John, the Apostles, saw "outspread bands and the face-cloth which had been around His head, not outspread with the bands but just the opposite, wrapped in one position" (John 20:7). Moreover, the Greek original of the Gospel mentions the horizontal position of the cloths outspread on the grave stone, yet the words alla choris entetyligmenon describe the veil still wrapped around where His face had been, in a surprising position i.e. "raised". A detailed language analysis reveals one more fact. Greeks used not fewer than six different words for perception. The word eiden used in this context means not only the fact of seeing something but also understanding what one sees. In Polish we sometimes say "reading comprehension" which is contrasted with thoughtless reading, without involving one's mind enough. Eiden means "to see and understand what one has seen". Therefore, having entered the tomb, John saw, understood what he saw and finally believed in Resurrection. Why is there no other mention of the Veil in the Gospels? One must realise that in those days making any images of God was forbidden by religious regulations. It was considered a blasphemy and severely punished. That is why any keepsakes of the Rabbi's passion were thoroughly hidden and stored with due reverence. The precious Veil of byssus cloth was something completely exceptional for the followers of Christ. 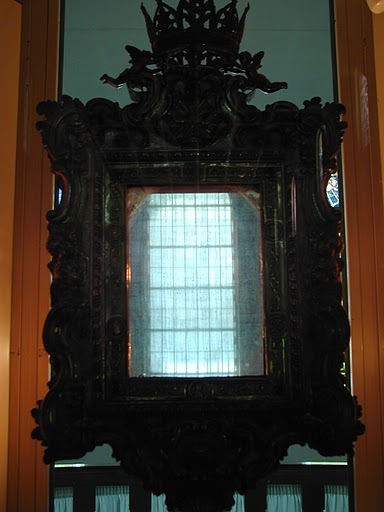 The linen Shroud was also unique although it did not directly show the image of the Crucified Christ. 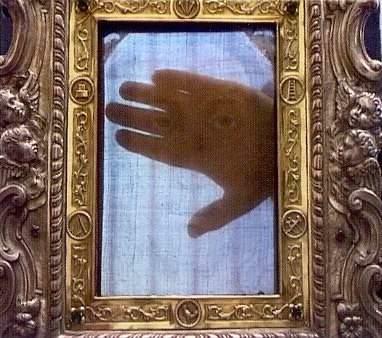 The Shroud's true message was discovered not before 1898 when its first negative photo was taken. As any relic of this sort, the Veil arouses much controversy. The majority of disbelievers have not seen the fabric with their own eyes. However, one may make an effort and look in the eyes of the Person from the Veil. Personally, I am profoundly impressed.